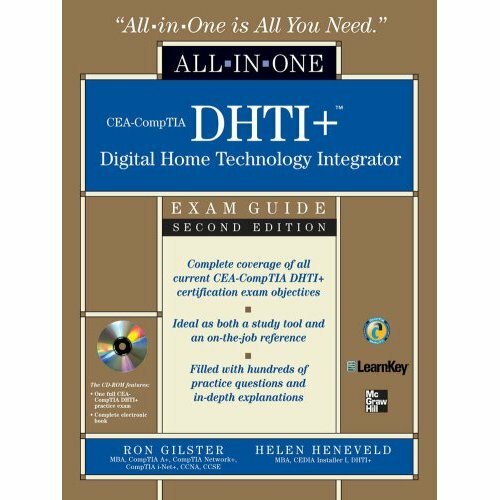 A CEA-CompTIA DHTI+ Exam Guide and Desktop Reference--All in One!. Ron Gilster, MBA, CompTIA A+, CompTIA Network+, CompTIA i-Net+, CCNA, CCSE, is the bestselling author of PC Hardware: A Beginner's Guide. Helen Heneveld, MBA, CEDIA Installer I, CEA-CompTIA DHTI+, is a recognized industry expert who speaks, trains, and consults worldwide in the converging home systems industry.